Daesh (the Arabic acronym for ISIS or ISIL) has mounted a major offensive in a bid to take Ramadi, the capital of al-Anbar Province in western Iraq. Ramadi is due west of Baghdad past Fallujah. 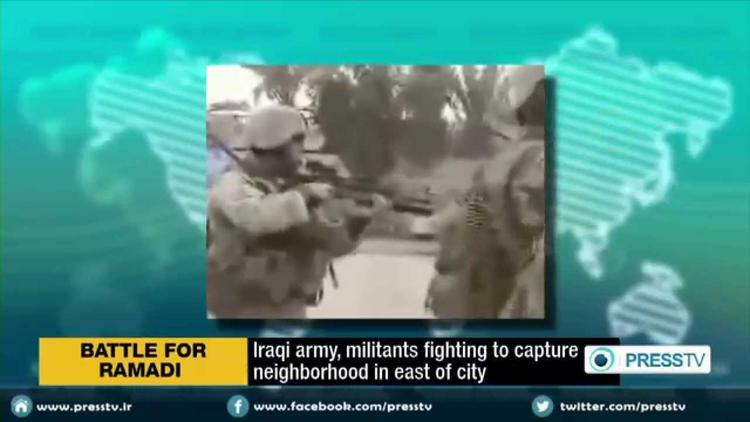 Iraqi eyewitnesses told the al-Arabiya satellite news channel that Daesh had taken over some of the neighborhoods in the center of the city. The police chief of al-Anbar Province, Lt. Gen. Kazim al-Fahdawi, on the other hand, maintained Saturday that Iraqi security forces had blocked the offensive. Me, I believe the eyewitnesses. DW reports that Daesh executed 25 members of the Albu Fahd tribe for having fought it during the attack on Ramadi. The bodies were found when Daesh was pushed back during a counter-offensive in the city. Daesh last month killed hundreds of members of the Albu Nimr tribe for having opposed its take-over of al-Anbar Province, most of which it has held for the past year. Fahdawi maintained that Iraqi security forces aided by a (Sunni) tribal levy, had blocked what was so far the biggest attack of Daesh on Ramady to date after it broke through into the Sijariya district in the east of the city. He added that a force from the 8th and 10th divisions of the Iraqi army, supported by police and tribal fighters, are now surrounding and besieging the Daesh elements in Sijariya. He explained that neither the Iraqi Air Force nor coalition fighter jets had flown any missions against Daesh since the offensive against Ramadi began. Al-Arabiya called Ahmad Abu Risha, the head of the Awakening Council, who said that new rural Sunni clans had joined the defenders of Ramadi, including Albu Mahall, Albu Suda and Albu Ghanem. Abu Risha asked for urgent air strikes in support of the tribesmen fighting in Amiriyat ul-Falluja, Habbbaniya, Haditha, and the center of Ramadi. He said that the tribes are determined to finish off the terrorists of Daesh and to cleanse al-Anbar Province of them.